CONICET researchers at the Instituto de Biodiverdad Neotropical in Tucumán participated in an international study that analysed salt concentration in water and its impact on biodiversity. Salinas Grandes, in the province of Jujuy. Photo: courtesy researcher. This increase in salinity can have adverse effects on human health, and raises the costs of water treatment for human consumption. Furthermore, it damages infrastructure, reduces biodiversity in fresh water, disrupts the ecosystem’s role and ultimately affects economic welfare. Ana González Achem, CONICET doctoral fellow, had also participated in the study with researchers of other seven countries. According to the results, the scientists affirm that the excessive amount of some of those cations in bodies of water provided by men can generate imbalances not always known. 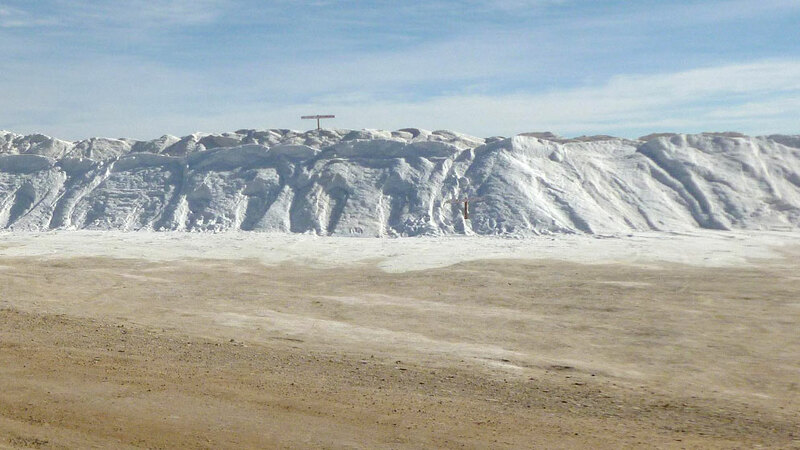 “So it is vital to regulate the amount of salt provided to water in order to protect the biodiversity and prevent the current situation from worsening in the future because it is expected an increase in the demand of this resource and surface water and as result there will be a reduction in the capacity of surface water to dilute the salts”, Fernández adds. Although there can be laws and regulations about water quality, they are focused on water to drink and for irrigation, but they do not protect biodiversity. That is to say, the water with some salts that can be suitable for drinking can, however, affect several other species of invertebrates that normally tolerate that water. Salinity standards, considering some ions and mixtures of ions, should be developed and established based on ecological criterions that protect life in aquatic ecosystems. In the report, the researchers state the need to develop comprehensive approaches, establish development and management rules for systems potentially affected by salinization that includes perspectives such the increasingly used triple bottom line or TBL. “The aim is to establish management options with a framework that includes social development and, economic and environmental impacts”, González Achem comments. Besides, for the scientists, this is ecologically meaningful and should be useful to protect with rules about salinization in any jurisdiction. The measures proposed by this group of scientists of eight countries include: characterizing water masses where those rules are going to be applied, finding its ionic composition- that is to say specific ion concentrations and their relations – of the associated effluents, quantifying the potential effects of each class of effluent in the region and identifying the thresholds for toxic effects, and finally “guaranteeing that the rules will be supported by the best scientific knowledge available, with understanding on the costs and benefits”, Fernández analyzes. The scientists also add that it is necessary to implement measures in order to prevent or repair the damage associated to salinization of fresh water. Some of these measures could be: to provide incentives for values through instruments based on the market, such as the subsidies for technology development and its use in order to reduce the use of water in agriculture; reduce or eliminate the use of salts as antifreeze on road surface; to decrease the production of specific sources and salt discharge in fresh waters; to implement maximum limit programmes or develop specific management options for effluents rich in salts, among others. “The international and scientific cooperation needs knowledge exchange for the development of solutions that can be used worldwide. The restoration of fresh water ecosystems contaminated with salts is possible. It is much more probable to prevent damage if water managers, the interested parties, and the scientists work together to identify social services, economic and ecological costs and the benefits that may result from prevention and restoration”, Fernández and González Achem conclude.